This project is pretty self explanatory, but I'll describe it anyway. Basically, I found a comic by Tumblr user min-min-minnie that I really wanted to dub, but I just couldn't find anyone to dub it with me! All I'm looking for is four people to voice some characters for me. One person will be voicing a main role in the comic, along with myself, and the three others are going to be voicing background roles. I will be posting the finished dub on my YouTube channel, and when it's up, proper credit will be given to you in the description! If you have any more questions, feel free to message me on my Tumblr! 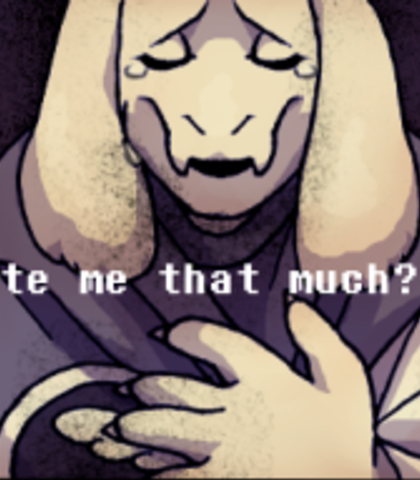 There's no specific way I want you to voice Toriel, so just do whatever you headcanon for her voice. (Weak/hurt sounding) ASGORE... Do not let ASGORE take your soul. His plan cannot be allowed to succeed. ....... Be good, won't you? My child. 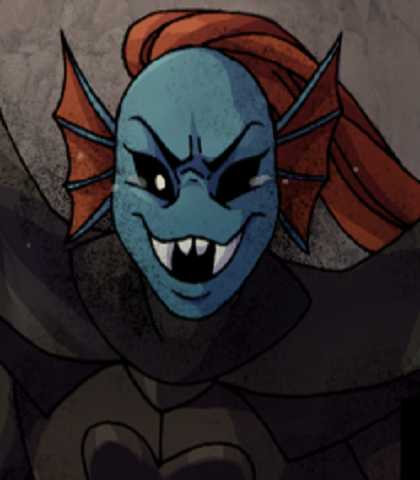 There's no specific way I want you to voice Undyne, so just do whatever you headcanon for her voice. Human. No, WHATEVER you are. For the sake of the whole world... 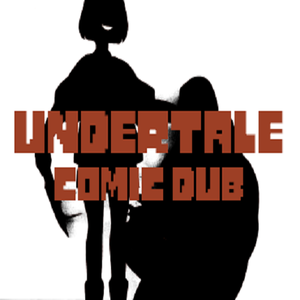 I, UNDYNE, will strike you down! You're gonna have to try a little harder than THAT. (Weak/hurt sounding) Damn it... So even THAT power... It wasn't enough...? Heh... Heheheh... If you... If you think I'm gonna give up hope, you're wrong. Cause I've... Got my friends behind me. There's no specific way I want you to voice Sans, but I would prefer if you stayed in the voice headcanon of crashboombanger and/or paper-mario-wiki. If you don't want to, that's perfectly okay! Just use whatever you headcanon for his voice. take care of yourself, kid. 'cause someone really cares about you. it's a beautiful day outside. birds are singing, flowers are blooming... on days like these, kids like you... should be burning in hell. c'mon, buddy. do you remember me? please, if you're listening... let's forget all of this, ok? just lay down your weapon, and... well, my job will be a lot easier. 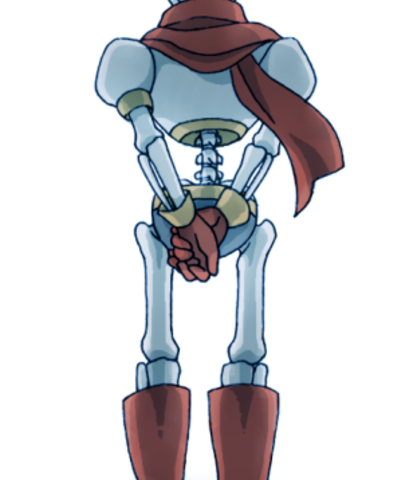 There's no specific way I want you to voice Papyrus, but I would prefer if you stayed in the voice headcanon of crashboombanger and/or paper-mario-wiki. If you don't want to, that's perfectly okay! Just use whatever you headcanon for his voice. THE WAY YOU SHAMBLE ABOUT FROM PLACE TO PLACE… THE WAY YOUR HANDS ARE ALWAYS COVERED IN DUSTY POWDER. IT FEELS…LIKE YOUR LIFE IS GOING DOWN A DANGEROUS PATH. HUMAN! I THINK YOU ARE IN NEED OF GUIDANCE! SOMEONE NEEDS TO KEEP YOU ON THE STRAIGHT AND NARROW! BUT WORRY NOT! 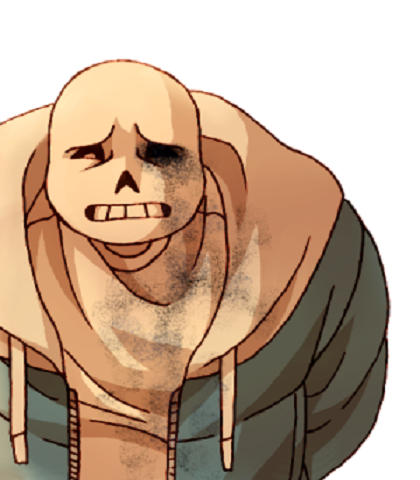 I, PAPYRUS…WILL GLADLY BE YOUR FRIEND AND TUTOR! I WILL TURN YOUR LIFE RIGHT AROUND!!! I SEE YOU ARE APPROACHING. ARE YOU OFFERING A HUG OF ACCEPTANCE? WOWIE!! MY LESSONS ARE ALREADY WORKING!! I, PAPYRUS, WELCOME YOU WITH OPEN ARMS!